As fall is upon us and children are returning to school the topic of backpacks always comes up. Using a backpack that fits ergonomically is important because it’s something your child will use every day of the school year. A few simple measurements can tell you the exact size that is ideal for your child right now. It is important to note that the backpack should not be longer than your child’s back. While wearing a backpack it should always be centered between the shoulder blades. To find the correct width measure the space between the ridge along the top of the shoulder blades and then add 2 inches. To find the maximum height measure from the shoulder line where the straps rest down to the belly button or top of waistline. The last question to address is how heavy should a backpack be? Most recommendations say that 10-20% of a child’s weight is safe for a child to carry without stress to the spine. You may be shocked to weigh your child’s backpack, more often than not it is too heavy. Back pain in children is on the rise. According to a study done of the University of California one third of all children age 11-14 report back pain. A common theory among pediatric health care professionals is that backpacks are a leading cause of this back pain. Why is a heavy backpack an issue? The force on the spine from a backpack causes muscle strain, distorts the natural curves of the spine and compresses the intervertebral discs, which are the shock absorbers between the 33 bones that make up the spine. These outcomes can occur in several different ways. 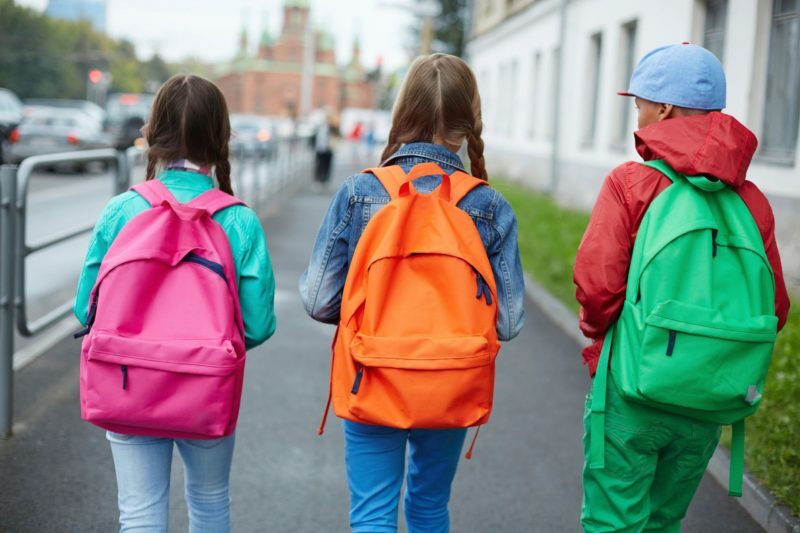 The first is that to compensate for a wearing a backpack, children lean forward which leads to rounded shoulders and a curve in the upper back leading to unnatural compression in the upper thoracic spine. It can also increase the chances of falling. Often children will wear a backpack using only one strap. This unequal distribution of weight will cause a lean to one side, which strains the neck and shoulder muscles and creates imbalance. But there is good news! The damage done by a heavy backpack that has been worn incorrectly is completely reversible. Follow the guidelines listed above and get your child’s spine checked on a regular basis to ensure that it is functioning properly. After reading this if you still have questions post below! We will be happy to evaluate your child’s backpack if you bring it into the office.